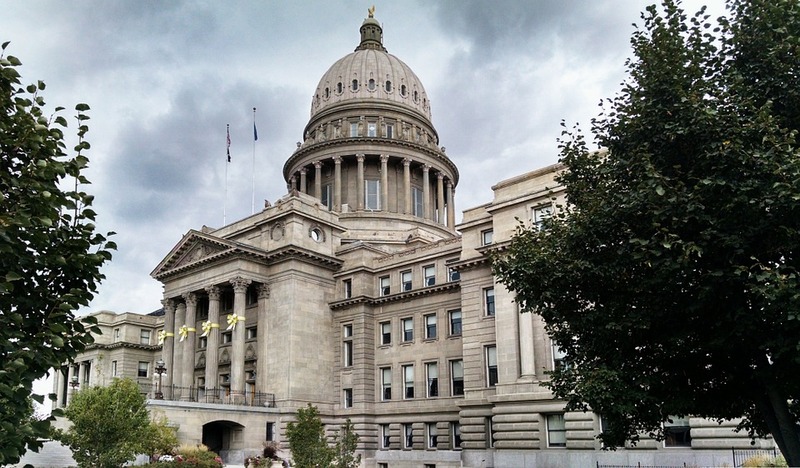 With an estimated population of 664,422, Boise is the capital and most inhabited city in Idaho. Located southwest, on the Boise River, Boise serves as the county seat for Ada County. While many residents and tourists visit the parks, music venues, restaurants and museums, several others take part in destructive activities—from excessive alcohol consumption to heroin and prescription drug abuse, substance addiction has increased throughout the district. If you live in Boise, and have fallen victim to substance abuse don’t hesitate to seek treatment. There are enormous resources in at your disposal. Compared to previous decades, the number of arrests and deaths from heroin has risen sharply (IdahoNews). Officers around the Treasure Valley area (southwestern Idaho), have recently made many heroin-related arrests. Tracy Basterrechea, chief deputy of the Meridian Police Department, said, “I can tell you that just in the last few days we’ve had three heroin arrests” (IdahoNews). Almost doubling each year, the Boise Police Department busted 10 people for heroin possession in 2013, 25 in 2014, and 43 arrests were made in 2015. Statewide, heroin-related charges increased by nearly 800 percent from 2014 to 2015. Police believe that the rise in heroin use has resulted from doctors cracking down on the amount of pain killer prescriptions they hand out. According to the Centers for Disease Control and Prevention (2017), 13 of 44 Idaho’s counties have a high percentage of opioids prescribed per person, which includes: Boundary, Shoshone, Nez Perce, Washington, Gem, Valley, Lemhi, Butte, Twin Falls, Cassia, Oneida, Bear Lake, and Caribou. Notably, Ada County did not make the list, likely due to improved restrictions and regulations for doctors—but still, the CDC, states that from 2012 to 2016 Ada County, “Had significantly more drug-overdose deaths with opioid drug(s) specified on the death certificate than any other Idaho county (154 deaths)”. Though Ada County has responded with stricter opioid laws, it’s staggering overdose deaths indicates that residents continue to obtain medications through other streams (eg the “black market,” or “doctor shopping”). Although the number of DUI offenses slightly decreased from 1,177 in 2015 to 1,014 in 2016, drunk driving still remains high in Boise (BPD Crime Report). Comparatively, charges for drunkenss increased from 108 in 2015 to 129 in 2016 (a 19.4 percent change). Liquor law violations, however, decreased from 365 in 2015 to 279 in 2016. As a whole, Idaho ranks as the 11th worst state for DUI problems. Both the CDC and MADD report that Idaho saw a staggering 32.1 percent increase in DUI’s. Likewise, Ada County had 349 alcohol-related crashes in 2016 (with 13 fatalities and 213 injuries). Idaho law states that a blood alcohol content (BAC) of 0.08 percent or above counts as impaired driving (0.02 percent for drivers under 21, and 0.04 percent for operators of commercial vehicles). The Idaho Transportation Department claims that even a BAC of 0.05 percent significantly effects reflex time and depth perception. For the first DUI offense, penalties include: a misdemeanor violation, up to 6 moths in jail, a possible fine of $1,000, and license suspension for 90 to 180 days. From then on, each additional DUI charge faces severer consequences, and for good reason: “Over 39% of Idaho’s fatal collisions are caused by people driving under the influence of alcohol and/or other drugs” (the Idaho Transportation Department). Therefore, it’s important to plan ahead: choose a designated driver, call an Uber or Lyft driver, or spend the night at the current location—just don’t get behind the wheel. Heroin is an illegal and extremely addictive substance that, “Derives from opium from the poppy plant before it is refined to morphine, then further chemically modified to become heroin”. Heroin gets sold and used in various forms including “white or brown powder, a black sticky substance (tar heroin), and solid black chunks”. These different forms makes it possible to snort, smoke, or inject heroin directly into a muscle or vein. Any way heroin gets consumed, the drug produces its strong effect quickly. Feelings users typically feel while intoxicated, includes: a surge of pleasurable feelings called a “rush,” a relaxing, warm state, a heaviness and slowness in the arms and legs, and an increased sense of confidence and well-being. Depending on the volume, frequency, and how long heroin has been used, signs and symptoms will vary. Immediate negative symptoms usually involve: nausea, vomiting, itching, and dry mouth. Delayed symptoms follow the immediate effects of heroin, in which the body begins to slow down and becomes less alert and active. These symptoms include: slowed breathing, having a fuzzy mental state, drowsiness and sleepiness, slowed heart rate, and “nodding,” alternating between periods of being awake and asleep. Signs of long-term use may involve: heart problems, collapsed veins from repeated injections, needle marks and bruising, skin problems like infections and abscesses, and disease in organs, such as liver and kidneys. Social consequences of heroin addiction generally causes troubled relationships, being fired from work, financial struggles, and legal issues. Long-term health effects often result, such as: damage to the septum and nose tissues from snorting, heightened risk of infectious diseases, persistent mental health issues like depression, and reproductive issues. Additionally, pregnant women that use the drug, increase the risk of miscarriage, premature labor, and neonatal abstinence syndrome (NAS), in which the baby is born dependent on the substance and undergoes withdrawals symptoms. Then there’s the strong chance of overdosing, which may lead to sudden death. Related effects include: significantly slower breathing, depressed heart rate, unconsciousness, permanent brain damage, and coma. The opioid family of narcotics, which includes codeine as well as extremely potent medications such as oxycodone and morphine, has many legitimate medical uses. However, “Because of the way opioids affect the brain, these substances do have the potential of becoming addictive”. Opioids stimulate areas of the brain that are connected to reward, which creates a “high” feeling. Unlike heroin, many opioids get legally prescribed to patients to relieve mental or physical pain, but the amount and frequency can easily get abused. Addicted individuals may consume too many pills to feel a euphoric state, and sometimes users will grind painkiller tablets and snort them. Even if the doctor restricts the number of prescriptions per patient, he or she may seek other doctors and/or obtain it on the black market. Some of the side effects of opioid use include: fatigue, constipation, confusion, nausea, bronchospasm, breathlessness, a sense of elation, depressed heart rate/difficulty breathing, strong dependence, chest pain, and death. For rehabs dealing with any major addiction—heroin, cocaine, alcohol, other opiates, etc—assessments must take place before accepting a patient. Assessments typically come in the form of questionaries, self-evaluations, and/or a physical exam. By answering questions and recording health-data, the assessor can accurately determine whether an addiction is fully present, to what extent, whether or not it pairs with co-occurring condition(s), and how to treat the specific, individual. Usually doctors, nurses, social workers, and therapists carry out these assessments. Though assessment strategies may differ from rehab to rehab, all locations carry out comprehensive analyses’.